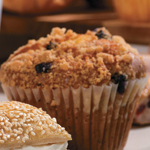 For several years, when I was getting started in the New York magazine world, my regular breakfast was a muffin—usually purchased from a fast-food chain and scarfed down on my all-out sprint from the subway to the office. Not so coincidentally, these were also the years in which I steadily, gradually gained weight. 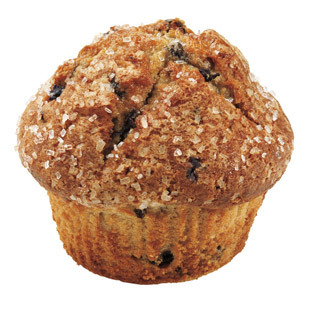 Even the most cursory glance at the nutrition info for various fast-food muffins will show you that there is an at times massive discrepancy between the healthiest and least healthy option. While some can make a good on-the-go breakfast, others pack in close to half of your saturated fat allotment for the day, while offering very little nutritionally in return. Simply put, it pays to know what you're about to bite into. 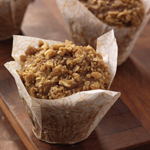 In recent weeks I've been seeing commercials for McDonald's new line of baked goods, which includes danishes, scones and, of course, muffins. The restaurant is initially rolling out the offering in New England and depending on how well they do here, they're considering national availability. 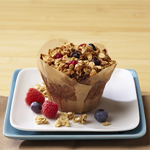 McDonald's Multi-Grain Berry Muffin (pictured) is a pleasant surprise: it has the lowest calorie count of all the muffins I looked at and boasts a healthy 6 grams of fiber. 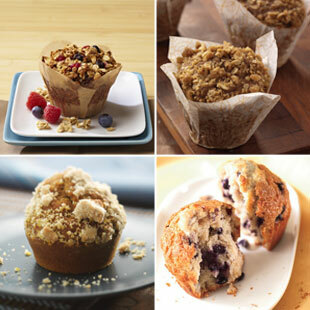 Watch out for their Blueberry Muffin, however, which packs in 45% of the daily value of saturated fat (based on a 2,000-calorie diet). 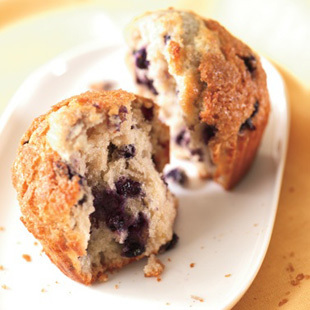 Panera Bread's best option, the Wild Blueberry Muffin (pictured), essentially delivers the same amount of protein and fiber as their least-healthy version, the Pumpkin muffin, but clocks in at 150 fewer calories and 150 mg less sodium, plus 1 gram less saturated fat. 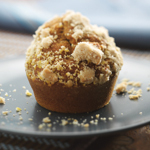 One other thing I like at Panera is their offering of “muffies”—half-size muffins in select flavors that allow you to indulge in a controlled way.